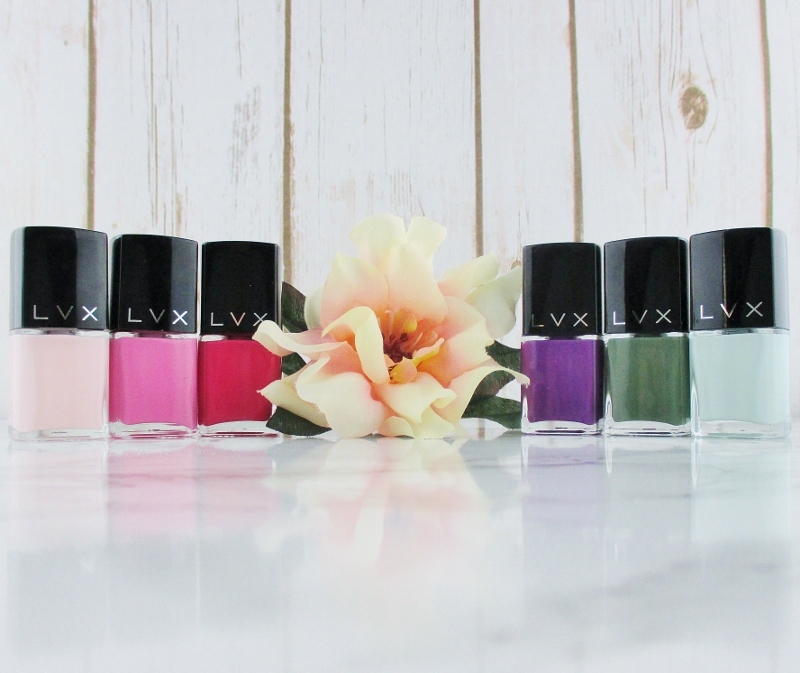 LVX Luxury Nail Lacquer is a cruelty free, 7-Free formula nail polish that delivers rich, saturated colour, smooth application and (in my personal experience) good wear, even on natural nails. Today, I have the Spring/Summer 2017 Collection to share. 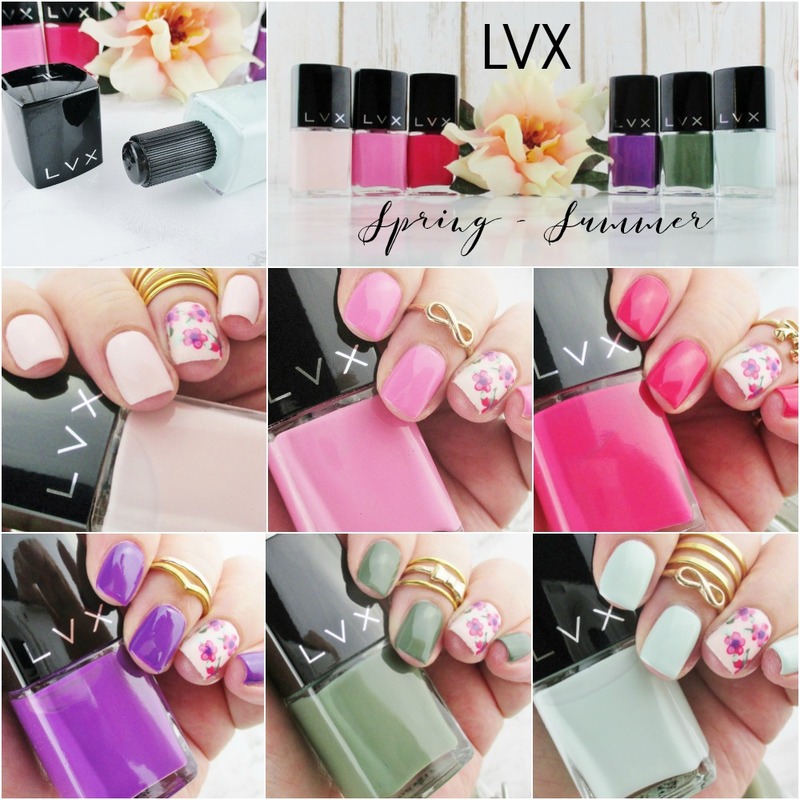 LVX (pronounced "luxe") is contained in chic, square bottles with a removable cap to make application easy and comfortable. The brush is flat, wide and well trimmed for precise application and control. All six polishes were swatched over base coat and finished with a glossy top coat. Thanks to my stupid ridgy nails, I added a ridge filling base under some polishes to give a smoother, more opaque finish. 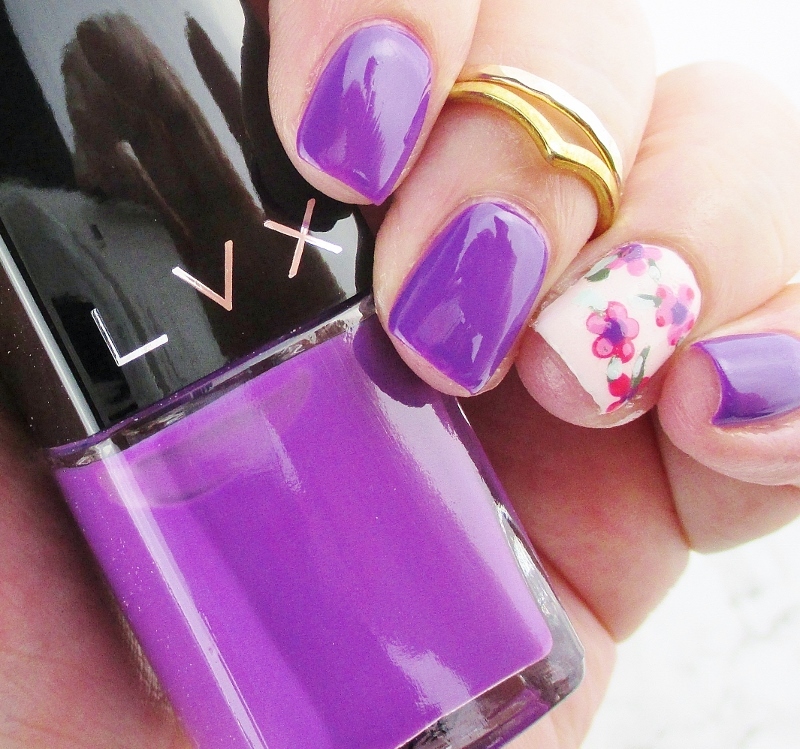 My ring nail is an easy-peasy floral dotticure using all six polishes. Let's begin with Coquillage. This delicate, ultra soft pink creme was completely opaque in three coats on my ridgy nails. 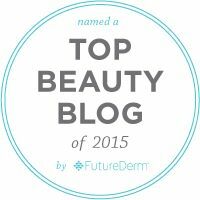 The formula is a dream, surprising for such a pale pastel. 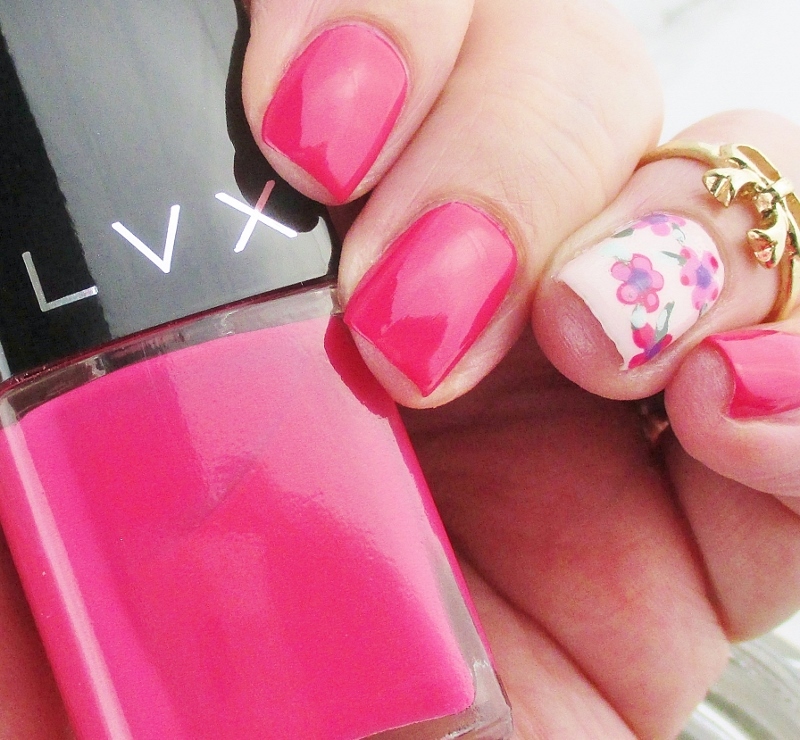 Camilia is a bold, strawberry pink creme. Two coats renders perfection. 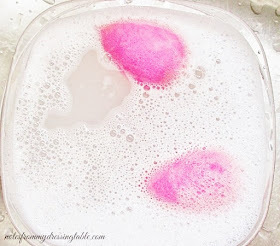 Schiaparelli is an intense raspberry pink creme that is perfect in two effortless coats. Reine is the perfect name for this glowing royal purple. How did they get that luminous shift without adding shimmer? This swatch is two coats. Magnificent. Argonne is a rich military green creme that is flawless in two smooth coats. My personal favorite of this gorgeous collection is Seychelle. This glorious delicate turquoise creme evokes everything we love about summer in the islands. This smooth creme is impeccable in two coats. 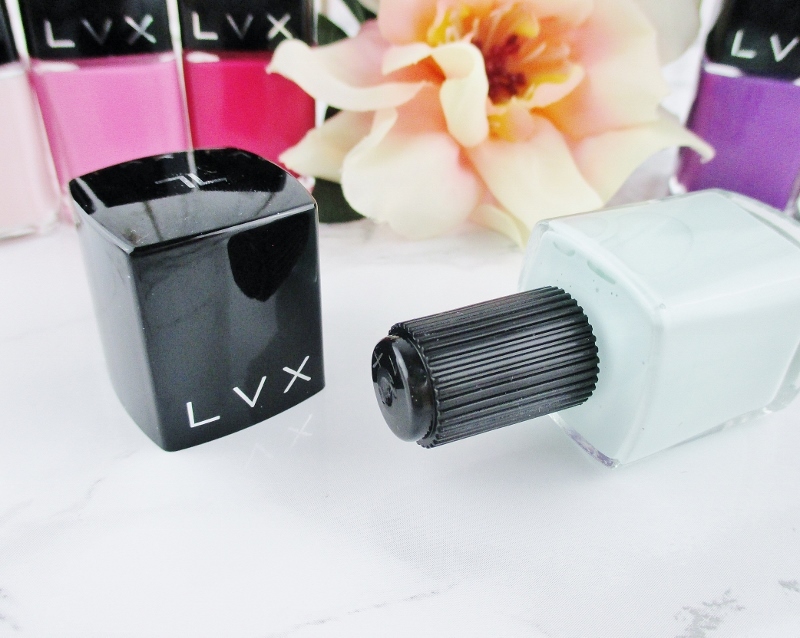 All six lacquers have a silky formula that sits sweetly down where it is placed, whispers up the nail without dragging, pulling, running or flooding my cuticles. I did experience some bubbling on the first coat of the lightest shades but I don't think that the polish was to blame. I tend to apply thicker coats and on the day I swatched, I was running the air and a fan which can muck with application. Dry time, especially with a quick dry top coat is downright respectable and I get a solid three to four days of nearly chip free wear which is impressive for my polish shedding natural nails. 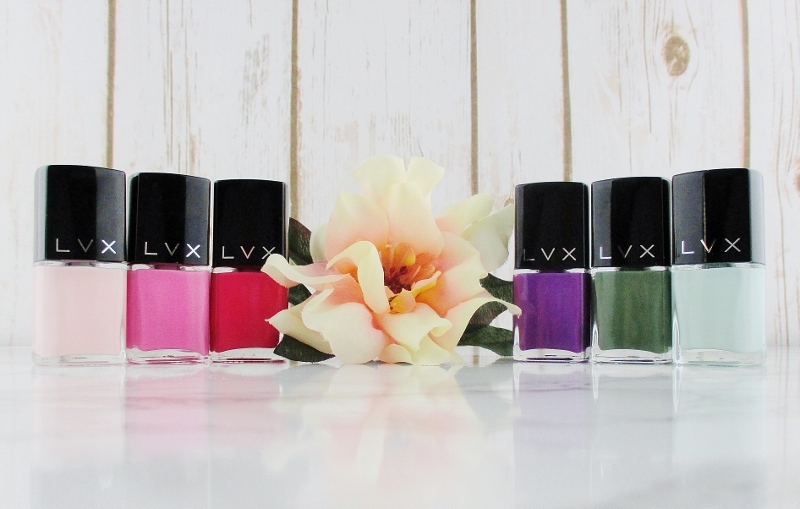 I am so impressed with my first experience with LVX Luxury Nail Lacquer. The bottles are good looking, I love the removable cap that allows for easy application and the smooth, impeccable formula and I can't wait to try more shades and finishes from this lovely brand. Wow! I wish I was that good at doing my nails. I always end up with a big mess! I love these shades, but your accent nail is everything! What a pretty way to highlight the collection. That purple is a lovely jelly. It's my clear favorite of the six, even tho I love all of them. The nail art is perfect for these. I'm impressed! I didn't know you were so good. I love how the accent nail ties together the collection! I like the dotticure accent nail. My favorite shade is probably Argonne. Thank you, so much. Argonne is a gorgeous green! I like the cute nail art you did with these! The green is especially pretty! What a nice set of cremes. These are beautiful creams! I love your accent nail! 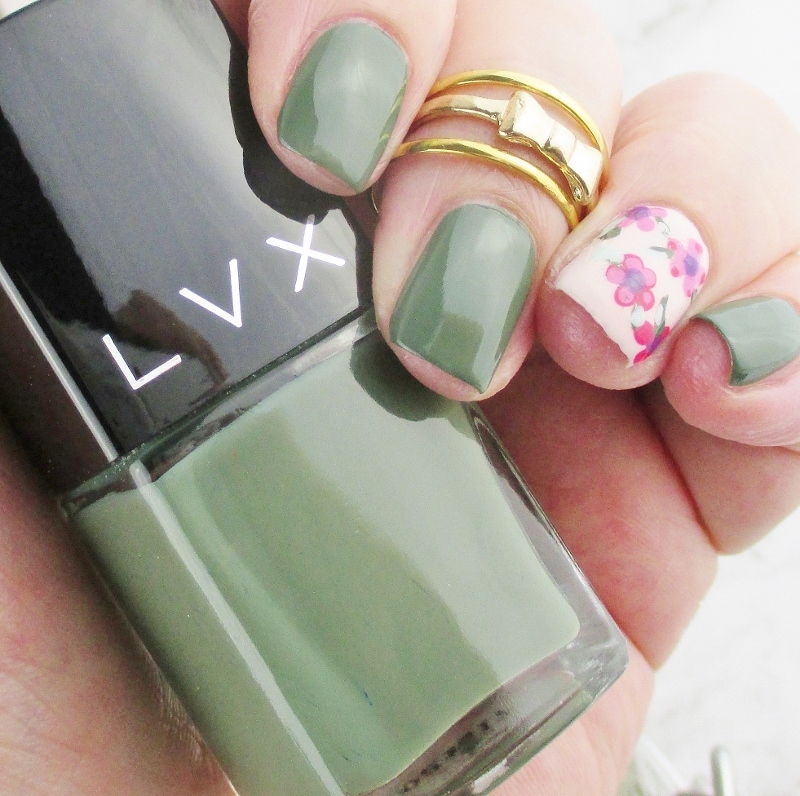 That accent nail looks perfect with each color! Gorgeous swatches.